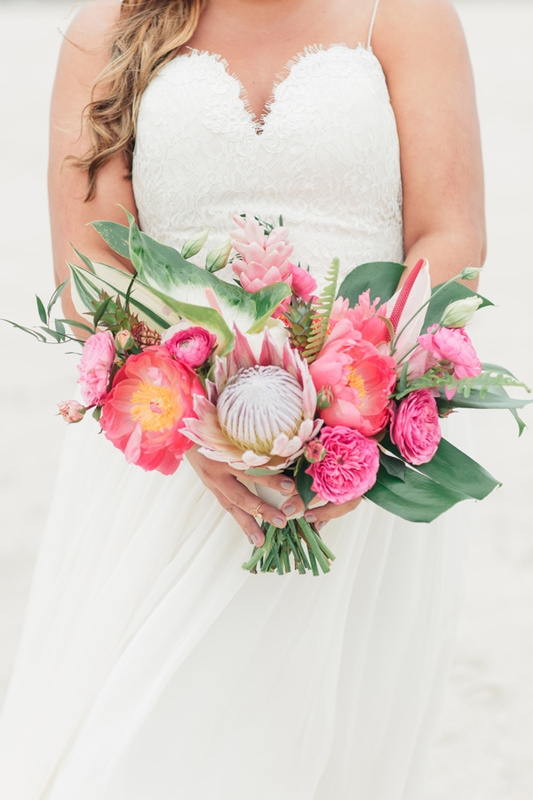 I must admit, a tropical wedding is probably one of my favourite themes out there. I love the bright, colourful shades and the sense of fun it brings. 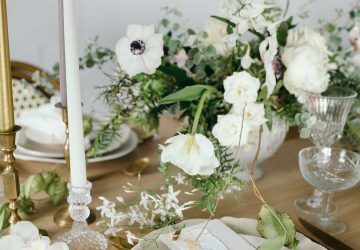 It’s perfect for a destination wedding, but is also a fab alternative if you want to bring the sunshine to your wedding day. 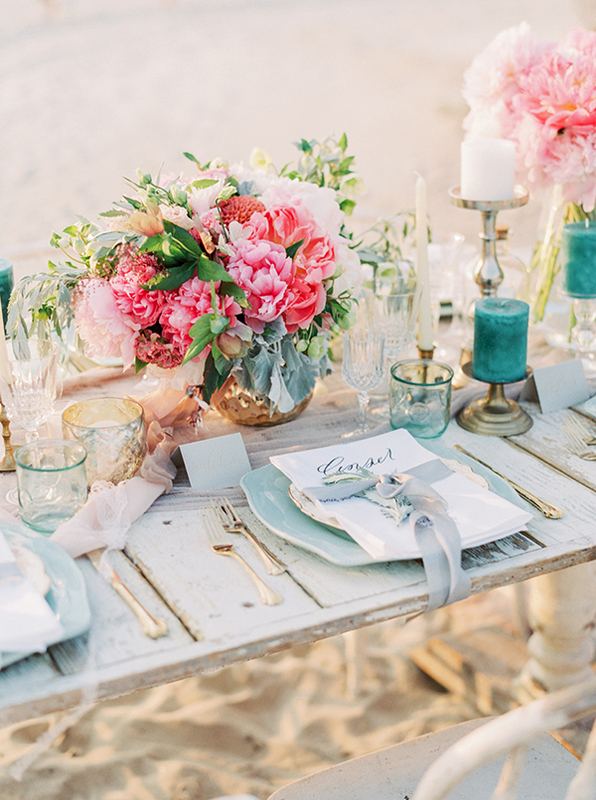 Sit back, relax and read on to find out how to create this vibrant wedding theme. 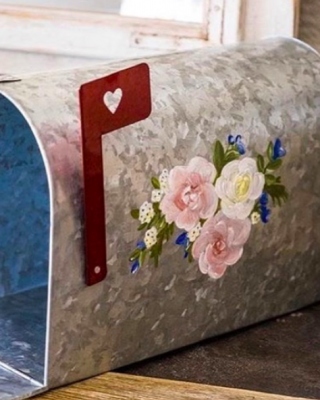 Let’s start things off with your wedding stationery. Colourful designs of hot pink and leafy green will set the scene. Think big, bold and beautiful – when it comes to this theme nothing is ever too elaborate, so you really can go all out with your theme. 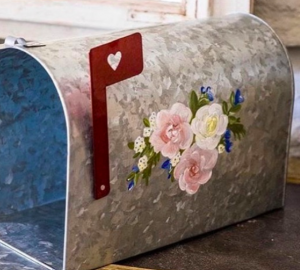 Why not include pink flamingo or pineapple motifs? They’ll look especially fab if you decide to use flamingo and pineapple details throughout your day. You have a huge range of choice when it comes to picking bridesmaid dresses, and it’s best to pick out one colour to focus on. Either have all of your maids wearing bright shades, or all pastel. For your bridal outfit, consider wearing shoes that add a pop of colour to your look. Why not wear a tropical flower crown? Perfect for that bohemian beach feel. Your bouquet needs to bright and full of colour. 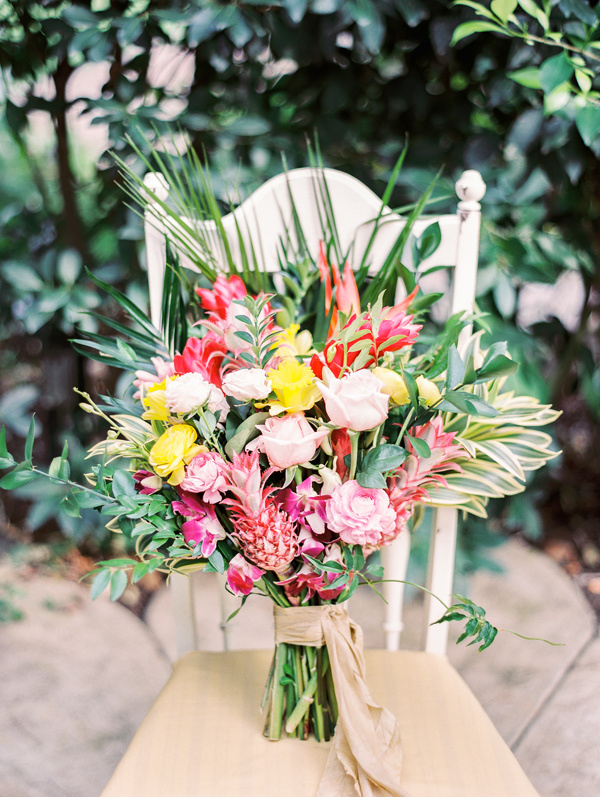 Mix hot pink flowers and eye-catching blooms with palm leaves. 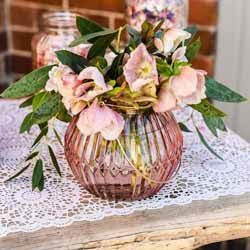 Opt for tropical flowers to really fit in with your theme – your florist will be able to recommend some gorgeous flowers that are in season. I particularly love pink Orchids, Hibiscus or King Protea. 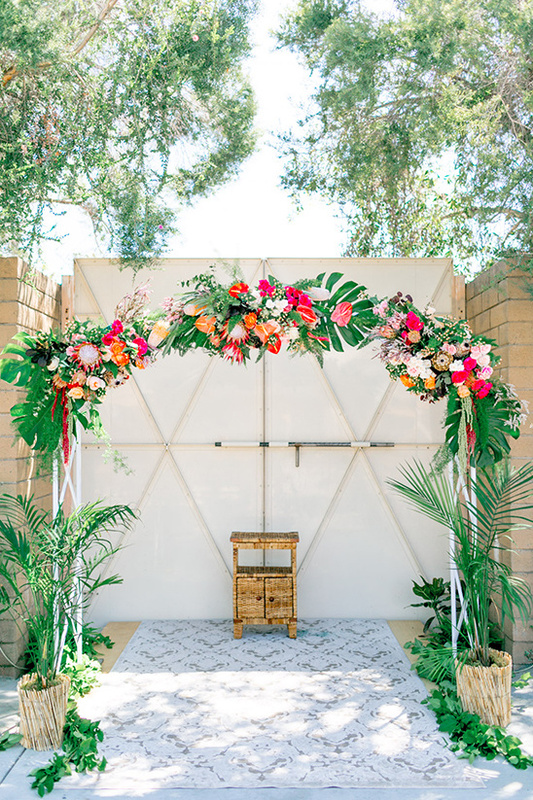 While we’re on the subject of flowers, I adore the thought of creating a tropical archway for your ceremony. 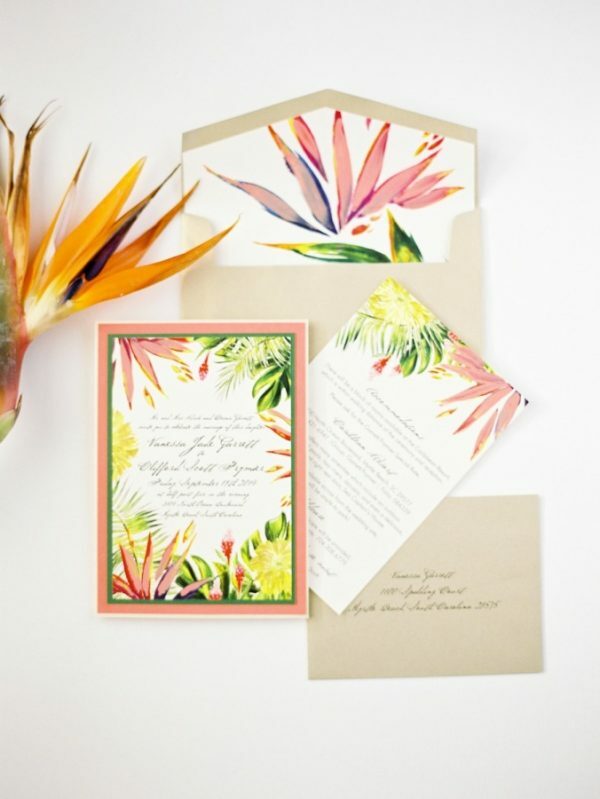 Imagine saying ‘I Do’ underneath a beautiful mixture of palm trees and exotic blooms! 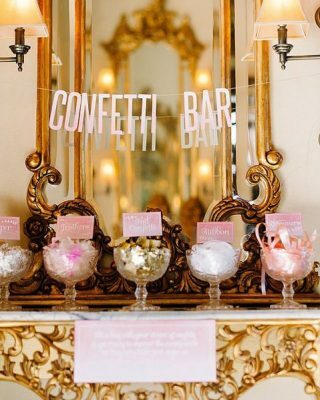 Not only is this completely romantic, it’ll be the perfect backdrop for your wedding photographs. 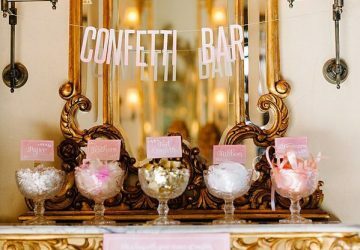 You can really have some fun with your wedding food and drinks. 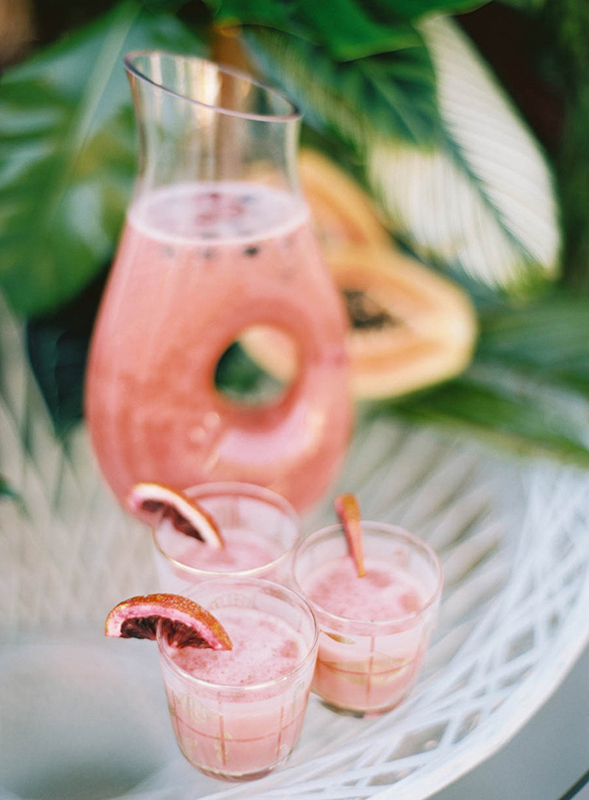 Opt for Pina Colada and Mojito cocktails with flamingo straws, with watermelon and pineapple fruit as mini canapés. Let’s not forget your wedding cake either. We’re talking something tall, elaborate and totally fabulous! 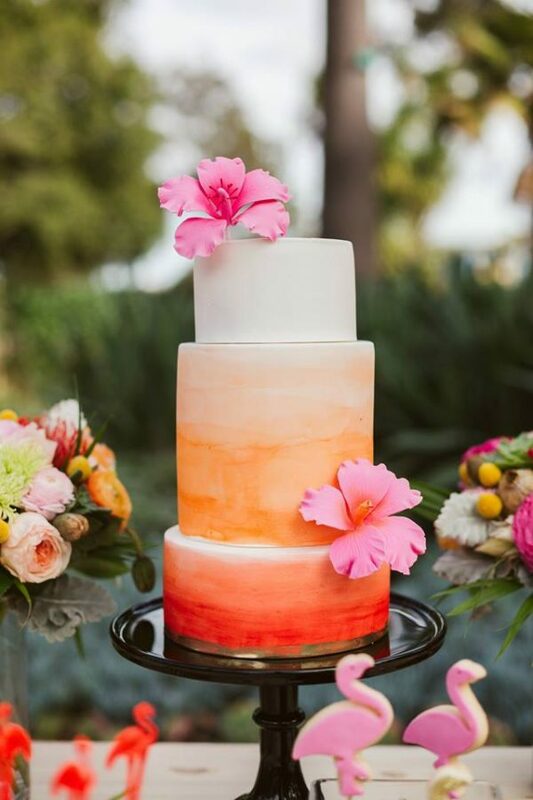 A white cake adorned with tropical sugar flowers will look sensational, but so will a cake with hot pink ombré icing. A fun pineapple or flamingo cake topper is the perfect finishing touch. 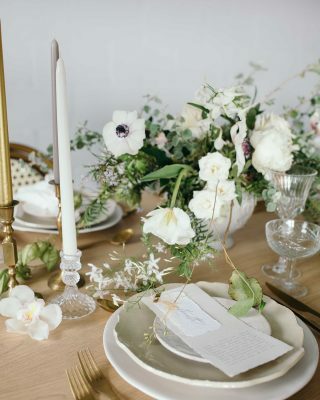 Make sure your tables look as bright and as colourful as possible. Pineapple-themed props on each table will look fab, especially with pink or aqua table runners. 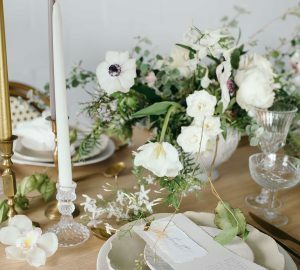 Extravagant and exotic flowers will make fab table centrepieces, and they’ll add a splash of colour. There are so many tropical-themed accessories and decorations around at the moment so you’ll be spoilt for choice. 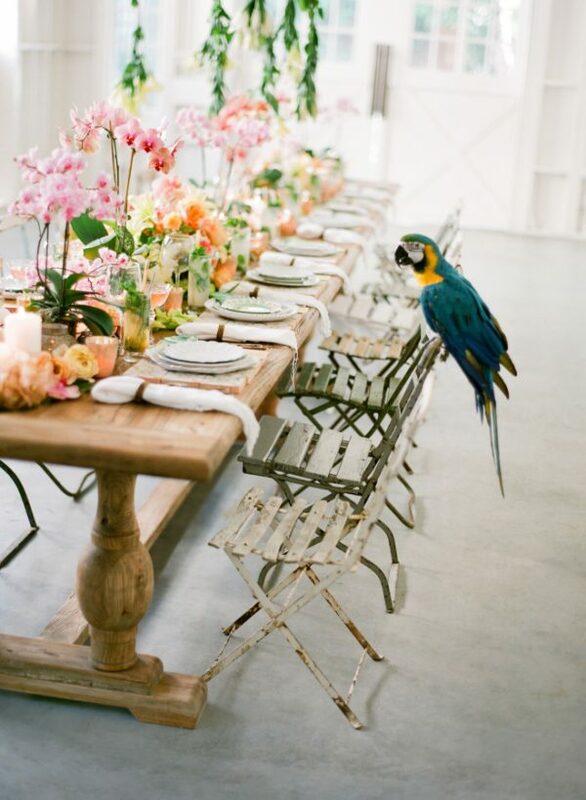 A tropical wedding theme is guaranteed to transport both you and your wedding guests to an exotic paradise: whether you’ve jetted off to the Caribbean to tie the knot, or if you’re in rainy England! 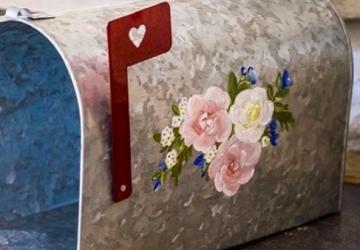 This is a seriously fun theme where you can get completely creative.